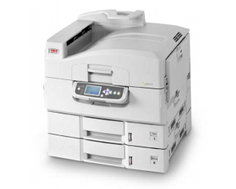 The OkiData C9650n is a laser printer with the ability to print in color as well as black and white. It is equipped with excellent on board memory and decent print speeds while including additional features such as oversized A3 and tabloid printing. Utilizing Single Pass Color digital technology, the OkiData C9650n is capable of printing up to 307 gsm index quality. It can print in color to tabloid, A3, and 12 in. x 18 in. 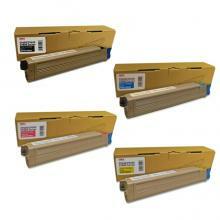 standard paper sizes and is also fully capable of printing banners up to 12.9 in. wide and 47.24 in. long. Its resolution is fairly good for a color unit and can be selected as high as 1200 x 600 dots per inch, which is not ideal for photo printing, but should be perfectly suitable for small posters and color brochures. Its maximum monthly duty cycle is impressive enough, running at 150,000 pages total, and OkiData products are often known to withstand even higher print volumes than recommended. Duplexing is standard for the OkiData C9650n, which is almost a must for a large color device such as this, and standard paper storage is excellent. The OkiData C9650n's standard paper handling abilities come in the form of a 530 sheet letter and legal sized tray, while the multi purpose tray can hold up to 230 sheets on its own. When paper expansion options are in play, the device can top out at up to 2,880 sheets of paper storage. Processing is made possible by a very powerful 800 MHz chip that should keep slowdown at an absolute minimum, while standard internal memory runs at 512 MBs which is expandable up to 1 GB via an external RAM slot. Networking is standard for the device making it ideal as an addition to a pre existing hardware set in a small workgroup. 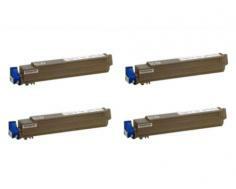 A USB 2.0 port and Parallel port are also available for single PC hosting. Convenient features such as direct PDF printing and Print Super Vision make operating the OkiData C9650n user friendly, while compatibility with a wide range of software, such as job accounting programs, makes the unit more versatile than smaller, desktop devices. With job accounting, logs are made of paper usage and printing tasks completed, which is helpful when trying to keep operating costs at a minimum. For a color printer, the resolution is restricting for photo applications. Its print speeds are also sluggish when dealing with large, full page imagery, though this is to be expected of most laser devices. The device is also comparatively expensive, and should really only be considered for businesses that require a large volume of specialty, oversized color prints. 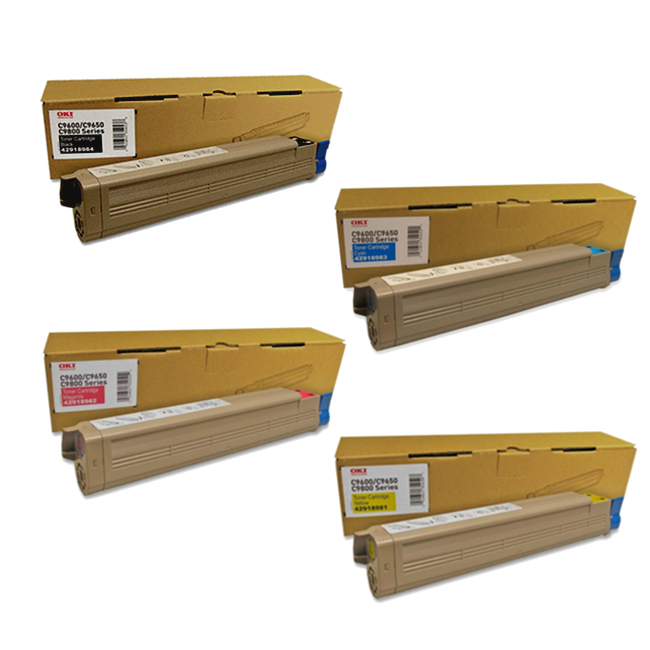 Review it: "OkiData C9650 "
The OkiData C9650n requires four standard toner cartridges for color printing: black, cyan, magenta, and yellow. Each can be replaced separately from the others, though all four come with the exact same page yield of 15,000. A drum unit is also required that is capable of 42,000 pages, and will rarely require replacement, and therefore keep print operations moving along at a business pace.